This review is of the Boy’s Summer box by Kidbox in size 3T. There was a welcome booklet personalized with my son’s name and simple directions for returning unwanted items or exchanging for alternate sizes. There’s also a plastic mailer and pre-addressed sticker to easily return anything you’re not keeping. Also included were some stickers and crayons for Gideon. Kidbox usually sends a free gift in each box, and this month they included a tote bag. It’s a pretty thin, basic, screen-printed tote but definitely still handy! This is a great outfit for Gideon! Perfect to wear to church in the summer, or easily dressed more casually if you split them to wear with jeans or a tee. both items fit him great and I like the classic style. I’m all for a basic black tee, but I don’t care for the phrase. I’m not offended, I’m just meh. It fits, but it’s just not something I’d dress Gideon in. Eh. The design is fine, but again, the phrase isn’t something I’d dress Gideon in. I have no interest in sending the message to my son or other people that I expect my son (or any boy) to be a “tough guy.” I do dress Gideon in a couple tees with words, but the ones he has are phrases like “I’m the big brother,” or “being nice is being cool,” and things like that. Since I guess I’m pretty picky about the words I choose for my kids’ clothes, I’m thinking I’ll just ask them to not send me anything with words so I don’t end up with more situations like this. Sigh. Again, with the words. I have “no big brand names” indicated in Gideon’s style profile, and I guess this isn’t a brand but it may as well be? What does #king mean? Is it supposed to be the boys’ equivalent to like, the trending phrase of “queen” these days? I don’t even know. Needless to say, this is also something I wouldn’t dress Gideon in, and it kind of confirms my idea of just requesting “no words” on the clothes they send me. These shorts are great! The color is bright and fun, the fit is just right, and I appreciate the soft, ribbed, elastic waistband. These are a winner. These shorts are more of a sweatshirt material and are very soft and comfortable. But the style is very oversized, so they run large and kind of swallow Gideon a little. His style doesn’t really include baggy/oversized items, so this is another miss. Yes! I love these shirts for Gideon. The space-themed blue tee is perfect, and the white henley is so cute. He doesn’t have any white tees, and I really like the touch of the buttons down the neckline. The fit is perfect with these, too. Here’s Gideon wearing the white henley and the blue cargo shorts. And here’s Gideon wearing the tee and the grey, oversized shorts. Verdict: This box was a bit of a rollercoaster for me. 4 out of the 7 items were misses, but two of the winning items were a set/2-pack, so it feels more 50/50. On the bright side, the items that were misses, except for the baggy shorts, were all for the same reason: the words. Hopefully adding a note that I’d prefer no phrases on Gideon’s clothes since I’m picky, will solve the problem easily. For what it’s worth, I’m really happy with the items I’m keeping, though, and I’ve had no issues with fit or quality, in my experience so far. Also, If you keep the entire box, you can also select a cause and Kidbox will make a donation to a kid in need such as a military family or foster child. I appreciate that Kidbox gives back. Value Breakdown: The retail price of all my items add up to $224 but the Kidbox price is technically $169, but with the discount from keeping a full box my total is $98! That’s about $13.60 per item. i tried kidbox about two years ago and was turned off by the excessive logos and phrases on the clothes, the shirts in particular. if you are a moderately savvy shopper you can find nearly the same clothing at discount stores like marshalls for far less than the prices offered by kidbox. I recently subscribed to Kidbox and Rockets of Awesome for my six year old son. 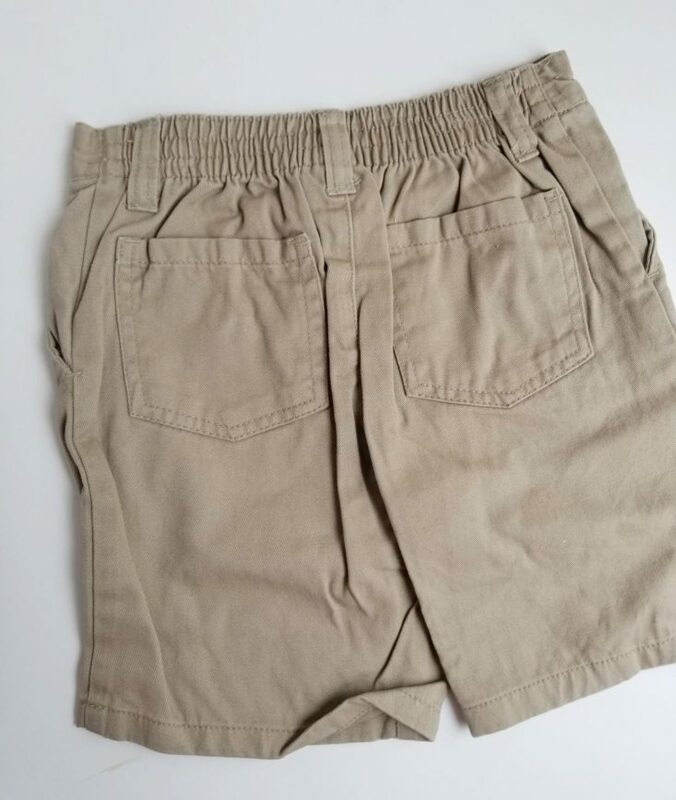 While the clothing that he received from Kidbox was ok I ultimately decided to return the whole box due a few sizing issues (he received the same LRG grey shorts and I agree that they are super baggy and oversized), not liking some items or already having similar items in his wardrobe. I’m hopeful that his next box will be better as I provided feedback about each item and they learn what styles he prefers. On a side note, the Rockets of Awesome box that he received was fabulous and we kept the entire box…I was very impressed with the quality and fun styles/patterns! Had they left the “tough guy” phrase off of the red white and blue shirt it would have been better. I’m still torn on trying a subscription box for my daughter. I totally agree, Julia. I would have no problems with it without that part. I’ve watched the reviews on this box and finally decided to try it for my daughter. I received my first box on Saturday and returned the whole box yesterday. The three shirts included did not even go to her belly button. One of the shirts had a large decoration, which I had requested not be included. The dress included just barely covered her bum. Jeans were included when I had requested no jeans. I wanted to love the box but it was a complete miss for us. At least I can now say I tried it. I personally think the hateing on the phrase tees is a bit odd… And not indicative of a marked offense for most… just this particular reviewer.. Anyway I am a subscriber of Kidbox and have been for quite some time, it would be of help for readers if it was noted what was marked for this particular child’s profile, there are many options that dictate what type of clothing is received. I have done Preppy, and City Cool for my 5 year old and don’t recall and Word Tees, however it is not a bone of contention for me. However I consistently receive very high quality outfits that are complimented on consistently. I will make mention that some of the designer brands do run a size smaller then one might be accustomed to, but they have an excellent return program if needed to size up. I’ve had I think 5 boxes now from kidbox, and I’ve really enjoyed it. I received one shirt in particular that had a phrase on it I really didn’t like. But, I have to say I was really impressed with their customer service. I logged into my profile (well, my daughter’s profile), made a note of it, and it hasn’t been an issue since. Overall, it’s been a good subscription. The clothes are durable and they have always gotten the fit right. I am with you on these phrases/words (#king????). I will buy my nieces and nephews shirts with words but typically its…Jedi in training…. or recently bought my niece …. Chewie is my copilot… with a picture of Chewbaca. Though the 4 year old did remind me that her favorite character was Darth Vader hehehehe she is so cute. Basically only nerdy stuff or positive words like …smile. Dawn, we love Star Wars! (In fact my husband was named after Luke Skywalker…) Thanks for reading!